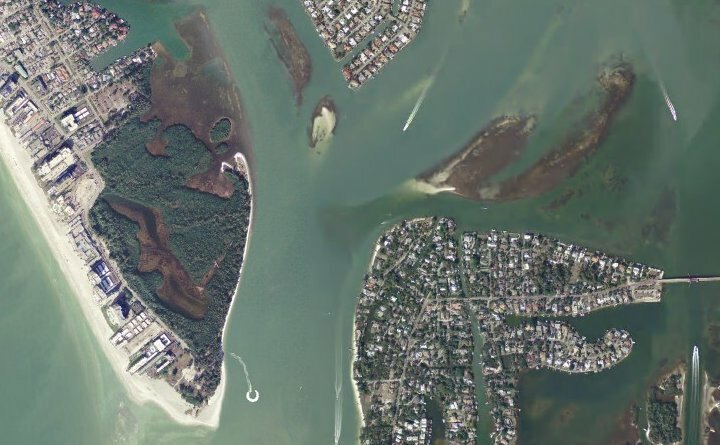 Aerial photography and satellite imagery provide a wealth of spatial information for analyzing features in the landscape. Get a true picture of what is on the ground from above. Look for special features of interest that may not be on a map. 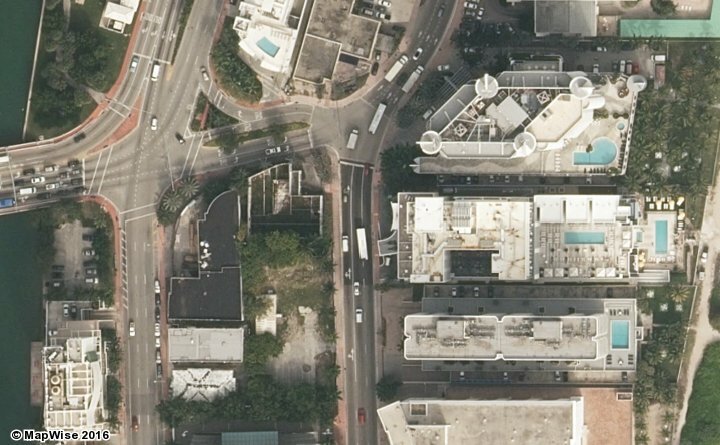 Compare two dates of imagery to see changes over time. Research and present issues related to Real Estate, engineering, legal, insurance, agriculture, personal recreation, and more. Very high resolution and high-quality aerial photography. 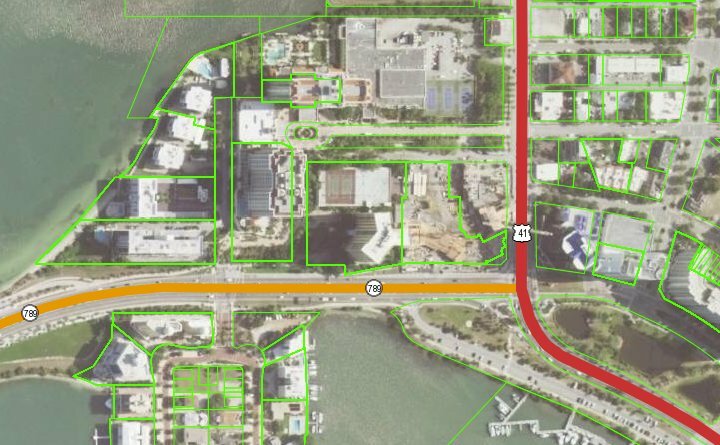 Generally the best available imagery on a county-wide basis. 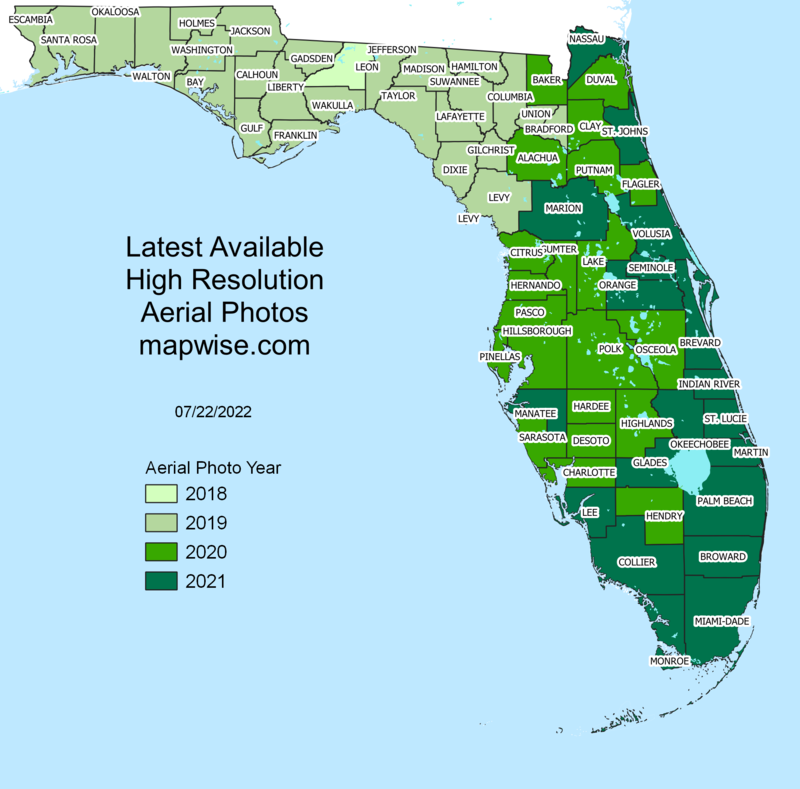 Please refer to the table and map below for the year the photos were taken by county. High resolution and high-quality aerial photography. High resolution aerial photography. Color infrared photos show variations in vegetation and wet areas much better than black and white or true color aerials. 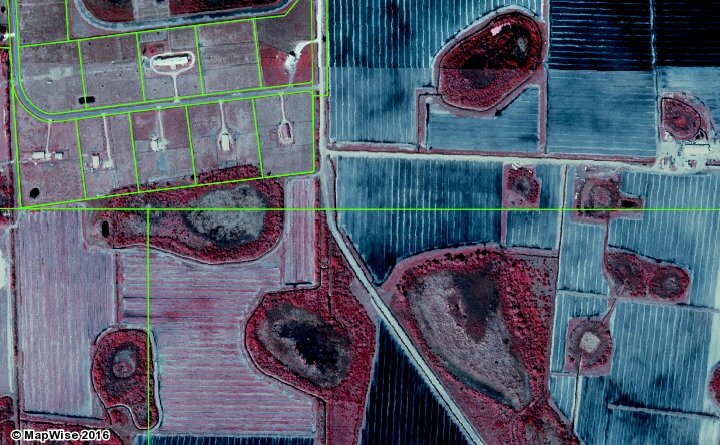 Wetlands identification is much easier with color infrared aerials. Use the MapWise GIS Map Viewer to explore aerial maps and related information. Built for real estate professionals. Covers the state of Florida.